The cone is the most critical component of the speaker and has a significant contribution to its sound quality. When mounted in an enclosure, it is the only visible component to the end-user. If the speaker design engineer spends much of his precious bill of material budget on a high-performance f lat wire coil, no one will know. But, spend a few extra bucks on a woven Kevlar cone and you can't miss the yellow high-tech look. Consider the speakers you have bought (or speaker projects you have put together)-more likely than not, the look of the speaker cone probably was an influence. Most speaker cones are fabricated from a recipe of wood (cellulose) fibers in a paper-making process, but polypropylene, woven glass, carbon fiber, Kevlar composites, and metal cones are also popular choices. Getting the soft parts right in a speaker driver is an art. The cone, surround, spider, and dust cap are the secret sauce in speaker design and most critical are their ingredients and fabrication. Loudspeaker cones are most commonly formed from paper pulp, but plastics such as polypropylene are also popular, and this material can be thermoformed (like melting hot cheese over a form) or injection-molded into the desired shape. Metal cones also appear on the scene, and other high-tech solutions that have achieved success include honeycomb, foam laminates, and composites such as woven and non-woven resins, glass fiber, carbon fiber, and aramids (such as Kevlar). Typically a specialist cone manufacturer fabricates cones for speaker assemblers, al though some of the larger offshore speaker companies have their own in-house cone fabrication facilities. The process starts with sheets of various types of pulp such as bleached and unbleached Kraft pulp. Douglas fir from Canada or the southern United States is common. Exotic blends which include eucalyptus from Brazil or Australia (very stiff ), other specialty pulps from New Zealand, or the hemp (Fostex and Daiichi like banana leaves which are part of the hemp family), kapok fibers (poor man's Kevlar), or various synthetic fibers are also popular. The pulp recipes, additives, pulp-slurry beating process, and cone-forming techniques all contribute to the loudspeaker cone's characteristics. Young's modulus (speed of sound), tan delta (internal damping), and mechanical parameters such as tear strength, burst strength, and so on are all factors that separate the toy cones from the audiophile, studio monitors, electric guitar, or pro-sound diaphragms. Other considerations are wet strength and moisture regain. Will the cone fail if used in a humid environment or will that studio monitor sound the same on a humid day? What about vulnerability to sunlight (UV), fungus, ozone resistance, and so on? Appearance is still another consideration, and there are many secondary surface treatments that add what cannot be fully achieved within the paper beating process. Once the recipe is selected for a particular production run, the appropriate paper pulp is soaked in hot water, for a period of time determined by the "chef." 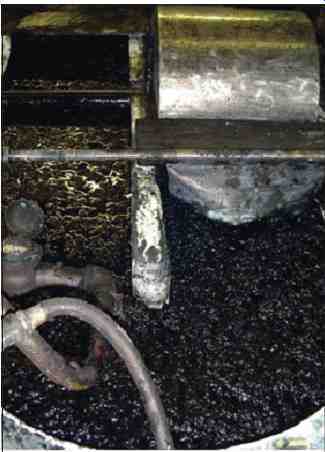 Pieces are torn off the wet pulp sheets (by hand or by machine) and thrown into a water filled pulp beater (see Photo 1). The beating process disperses the fibers while also fibrillating (fuzzing them up) so they will mechanically tangle together, thereby holding the cone together. Aside from the mechanical bond there is also the oxygen bond from the paper-slurry process. 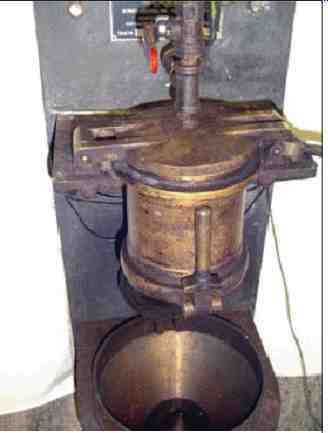 Most of the industry uses the old-style beating machines which offer potentially excellent fibrillation. Sometimes hydro-pulpers are used, which can be faster in producing the slurry but may not do as much fibrillating work on the fibers. Better use the hydropulper for making newspaper instead. Measurement techniques such as Canadian Standard Freeness (CSF) are used for monitoring batch to-batch consistency for pulp fibrillation (see Photo 2). Freeness has to be in a certain range in order for the fibers to bond and make good paper. Additives are thrown into the beater, such as salts to hold the dyes (mostly black), waterborne epoxies, and all this is mashed some more. In the case of the beating machine, there is a beating wheel, which is progressively brought closer to the beater bedplate as the pulp is worked into a slurry of fibrillated fibers. Eventually this dense soup is transferred to a holding tank, which has an agitator to keep the slurry dispersed and homogenized in the tank. The pulp's fiber length, density, and secret sauce are factors that distinguish different speaker cones intended for subwoofers, midranges, musical instruments, and so on. There are three common cone paper forming techniques: pressed (see Photo 3), semi-pressed (see Photo 4), and non pressed cones (see Photo 5). In the case of the pressed cone, the pulp slurry may be dumped into a bin and drained through a fine mesh screen. The paper fiber solids are left on this screen after the liquids have been drained out of the bin. The carcass is removed from the mesh and deposited onto the cone-pressing machine. Heated positive and negative metal cone-shaped forms then press the pulp. The remaining water steams out of the cone, which is re moved from the forming tool. If the cone's density is too low, then the cone may be too dead-sounding. If the cone is pressed too hard and thin, then breakup (cone cry) will be more noticeable, especially at high sound levels. The cone density and pulp composition affects the internal loss (deadness) of the cone material, which will contribute to the sound quality of the speaker. The speaker cone shape or profile is a critical factor in the sound quality and performance of the speaker. If the cone body angle is narrow, the walls straight-sided with concentric rein forcing ribs molded in the cone body, it will be the strongest and most rigid at very low frequencies. Decoupling rings can be molded into the cone body, which look like ribs, but a cross-section of the cone shows that while ribs are composed of added material on the face of the cone, decoupling rings are concentric cone corrugations. These corrugations allow the effective radiating area of the cone to decrease with rising frequency. The off-axis response tends to look better over an extended frequency range with decoupling rings (and curvilinear profile), allowing the speaker system designer the option of using a higher crossover point between the woofer and tweeter or midrange. The angle at which the cone body attaches to the voice coil bobbin is important. If the cone meets the voice coil former at too sharp an angle then the high frequencies will reflect back rather than pass into the cone body, resulting in a ragged response. Cone body weight is also important. Too light and the cone may distort, producing cone-cry at high sound levels or high excursion. Too heavy and efficiency will suffer. The larger the voice coil for a given size cone, the greater the structural integrity of the cone body, making it less susceptible to breakup. Also, if the cone is deep, it is less likely than a shallow cone to "ashcan," buckle, and emit spurious noises. Today, cone and speaker designers have software simulation programs (such as FINECone from LOUDSoft) to model results before starting tooling. Some paper cones also have non-cellulose fibers mixed in, but getting all these ingredients to stick together is critical. Waterborne epoxies, pastes, and synthetic fibrillating fibers are sometimes used in the slurry. These special additives are processed in the slurry before loading reinforcements such as Kevlar, glass, mica, or ceramics. The treelike nature of fibrillated fibers mechanically hold everything together. Fibers may be fibrillated (many fibrils-fuzzy), short sticks (stable fibers-typically 0.25" long is a good aspect ratio for stiffness), or flocked fibers and flakes. Adding carbon fiber or aramids (such as Kevlar or Conex) fibers to the pulp allows reducing the cone body weight, while retaining strength. Many speaker designers believe aramid fiber paper cones are audibly cleaner, especially with wide dynamic range music. Kevlar has the rare combination of extreme stiffness and good damping. Other high-performance fibers include Spectra and Vectran. Most hard materials tend to be "noisy." These premium fibers are the caviar of cone materials. Starting at well over $10/lb., it is quite a bit more expensive, while commodity paper pulp costs a small fraction of this. DuPont does not readily sell Kevlar pulp, and most so-called "Kevlar" paper cones from off-shore vendors actually contain glass reinforcements, or sometimes alternative aramids such as Conex or Technora from Teijin. Cones made in the United States from Loud speaker Components are made with genuine Dupont Kevlar. 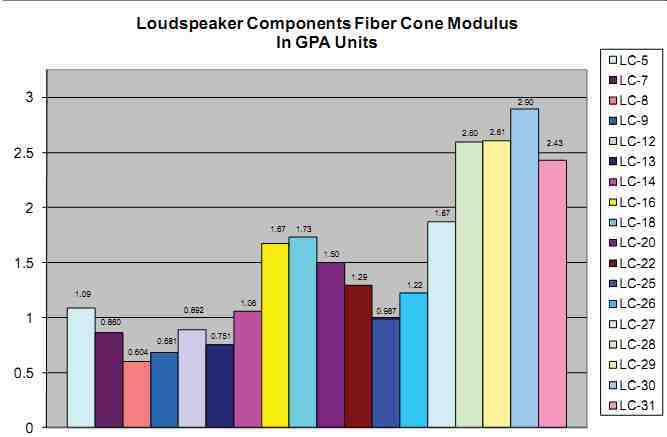 Figure 1: Viewing the graph from left to right, significant Young's modulus advancements have been made over the past 15 years by Loudspeaker Components with the data furthermost to the right derived from X5 technology pulp by LC. (from of Loudspeaker Components (LC), United States). Glass fiber paper cones are some times used for subwoofers. While these cones may appear to be paper, you can immediately feel the high stiffness if you tap or flex the cone. The glass fibers have a "sizing," a special coating such as acrylic so it consolidates (sticks to) the cellulose fibers in the slurry. Keeping the glass fibers dispersed in the slurry is a challenge because their specific gravity is quite a bit denser than the cellulose pulp fibers and the glass fiber wants to drift toward the bottom. To deaden the cone, sometimes wool or a flocked polypropylene pulp is used as an additive to the paper pulp. In some cases, a goo may be sprayed or brushed onto the cone, often on the rear, to dampen resonance. Significant Young's modulus (stiffness) advancements have been made over the past 15 years by United States cone supplier Loudspeaker Components (see Figure 1). Polypropylene cones are popular for both high-end audio and autosound because they do not absorb moisture (moisture regain) and can have low distortion. Avoiding moisture absorption is more important than you might think because the cone mass, Q, resonance frequency, and box tuning (on vented designs) can all significantly shift with humidity. Conventional fabrication of poly cones is often by thermoforming, where the poly sheet is heated until it is soft and then it is formed (often by vacuum pressure) into shape. Poly comes in different formulations and its performance highly depends on additives. As with vinyl records, if too much waste from previous production runs are chopped up and recycled into new runs, performance and consistency may suffer. On the other hand, some "regrind" waste actually has some performance benefits. Like paper, there are many additives and fillers used in poly, with mica, carbon black, talc, and glass being most common. Many cone manufacturers are using injection-molded poly cones, but re quire a large investment in tooling. The injection-molding process tends to orient the polymer and adds stiffness. An innovative approach to injection molded poly cones is Pioneer's IMPP and Panasonic has a similar technique. The process starts out conventionally, using poly pellets (and other ingredients), which are melted and injection molded into the cone mold. The final step is unusual as the pressure is re moved from the mold allowing the material to foam, which increases rigidity. Other techniques Pioneer has used to further increase the cone stiffness include "diamond-plate" and conical dome contours in the cone walls and one piece cone construction (no dust cap). The face of the cone has a nickel metallization for dramatic aesthetics. Panasonic has a few noteworthy innovations for injection-molded poly, and they have their own forming technique for poly, as well as a variation in the cross-section of the cone for structural reinforcement-and this is all done in house in their central Japan operation. 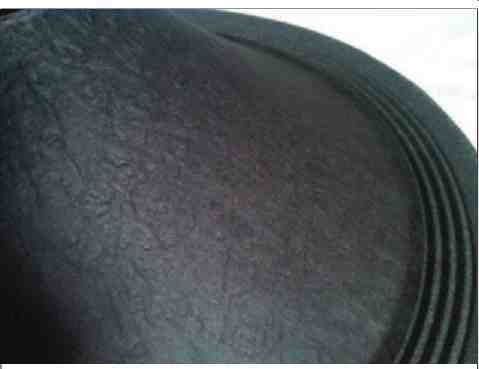 The high-end of the market is where we find the use of woven carbon fiber or non-woven fiber mat saturated with poly or other resins. Fibers include Kevlar, known for its yellow color, high strength, light weight, and excellent sonic characteristics. Carbon fiber, typically black (but red is another option), is another high-performance fiber. Glass, which is most often used in woven white cones, has very high strength-especially the high-performance grades like E and the even stiffer and stronger S glass. But, it is best used in woofers and subwoofers due to its high density. 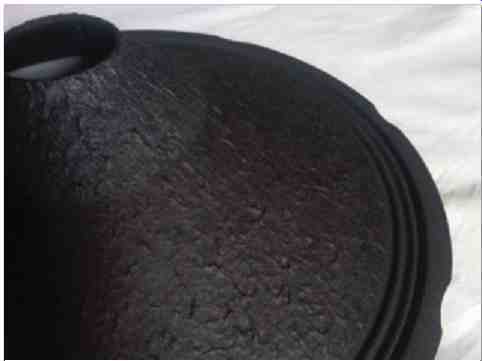 The resin binder in a woven cone is a big contributor to the performance and weight, and if excessive epoxy is used to bind and seal the cone, the weight benefits of using ex pensive high stiffness-to-weight ratio fiber may be lost. Poly resin provides damping and low weight but requires proprietary techniques. Rohacell (poly-methacrylimide foam) is a product of military aircraft construction. 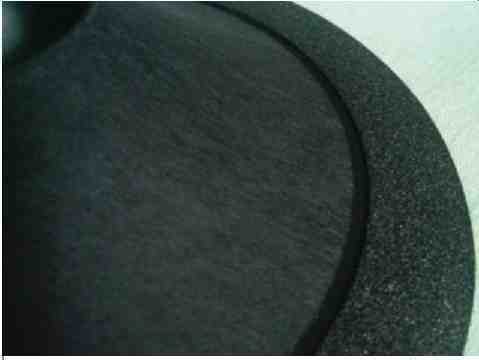 This lightweight but stiff foam is used for the radar domes on AWAC aircraft, but a more down to-earth application is flat and cone shaped diaphragms. DIAB's Divinycell is another vendor for foam cores. These are good solutions for high-excursion tight boxes whose pressures otherwise would crush the cone. Forming is slow, using hydraulic presses. A wide range of skins are typically laminated to form or honeycomb cores. Metal is a unique approach to speaker diaphragms that has been around for many decades. But in the last few years, it has become more commonplace in high-performance speakers. Early Western Electric speakers in the 1930s and later Bozak drivers developed in the 1950s used aluminum cones. Because metal is inherently stiff, the resulting strong and light cones can withstand high excursion with low distortion. High excursion translates to high-acoustic output, especially at low frequencies. And when you are put ting big woofers in small boxes, the metal cone withstands the enormous forces that want to burst and crumple the cone. Still another strong point is environmental stability. Typically metal cones are some alloy of aluminum. Forming techniques include spinning, hydroforming, and punching. Today most cones are punched. Aluminum alloys such as Duralumin (also called duraluminum) are common and reason ably priced, but magnesium aluminum metal matrix alloy and beryllium cones are options if you want a cone costing in the $100 range. The speaker engineer's requirement for stronger, lighter, shallower, and acoustically better-performing cones is only matched by the marketing department's hunger for product differentiation. The cone is the most significant path to resolving these goals, so count on its ongoing evolution. Next month we will take a close look at the surround and spider. The speaker cone reproduces sound through back and-forth movement in a mechanical analogy to the electrical signal. The compliance(s)-the surround and spider-guide the cone, keep the voice coil centered in the magnetic gap, pro vide restoring force, and limit excessive excursion. The various types of compliances will be discussed, including shape, materials, and fabrication.